American Jetting has been a trusted and reliable vendor for well over a decade. Their staff is professional, knowledgeable, clean, and courteous. Their response times during emergencies is excellent, and I could not imagine trusting our jetting service to anyone else. Our school district has been using American Jetting Services for over 10 years. This company has been very prompt and professional with all of sewer cleaning back-ups. They are a vendor that can be trusted with not only difficult troubleshooting issues but also value us as customer. 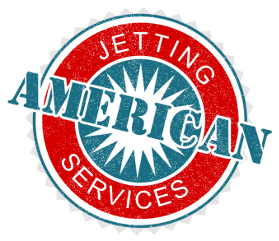 I have been using American Jetting Services for all of our Hydro Jetting needs and could not ask for a better or more honest company. They have always arrived on time and took care of the problem. We have been working with American Jetting Services for several years and have consistently received excellent service. The technicians are always professional, knowledgeable, clean and friendly. We know that we can always count on them to respond to our urgent issues in a timely manner. We highly value their capability and honesty and would recommend them when in need of their services. I had called out another company to Hydro jet my sewer line at a rental property I own. They told me after they jetted that I need to have the street dug up and replace the line due to roots and breaks in the pipe. Cost was $25,000.00. The next day I called American Jetting and they used their camera and told me I had a lot of roots in the line and it needs to be Hydro jetted. They spent over 3 hours jetting the pipe in order to remove the roots and showed me the bad areas. They did tell me the pipe could be lined and this would take care of my problems. They saved me over $24,000.00. For now on I will only use American Jetting, they are very honest, hard working and will tell you the truth.